Powering your enterprise. Empowering your people. Reinvent your AP. Reimagine your potential. Goby AP Automation is a faster, smarter way forward. Our technology streamlines the invoice capture process, speeds up approvals, and eliminates mistakes & late fees. There is a better accounts payable management, and you can start today. 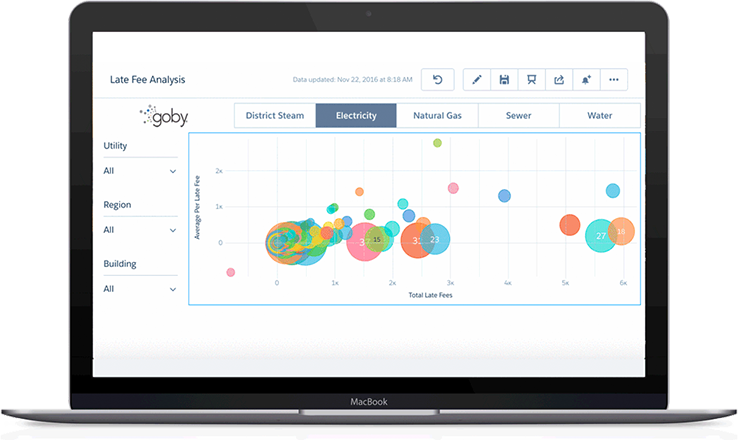 With automated data collection, enhanced validation algorithms, and clear visualizations, Goby's AP automation platform will help you will reveal opportunities, identify trends, generate projections, and make confident budget decisions backed by powerful analytics. Reduce costs with an intelligent acquisition process as every invoice is automatically captured & coded, and data is extracted from any format. Take action as a powerful validation tool identifies and tags billing errors, outliers, and ideas. Review and approve invoices, coding, and budgets through a robust workflow and routing engine. People are talking about Goby!